The Buffalo Sabres have hired Jason Botterill as their new general manager. They made the announcement on Thursday, bringing the former NHL forward into the fold. The Sabres finished the 2016-2017 regular season with a 33-37-13 record, good for 78 points. They scored 201 goals and allowed 237 goals against. The 40-year-old was an associate general manager with the Pittsburgh Penguins for the past three seasons. He started with the organization in 2007 and formerly served as director of hockey administration. He was also general manager of Wilkes-Barre/Scranton in the AHL and was responsible for hiring Mike Sullivan. Botterill’s most immediate task for the Sabres will be to hire a coach to replace Dan Bylsma, who was fired on April 20. Buffalo has expressed a desire to have a new bench boss in place before the 2017 NHL Entry Draft, which takes place on June 23. 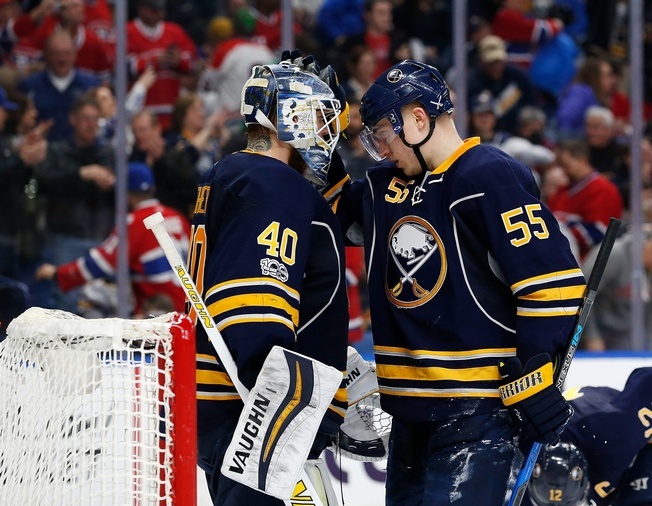 The Sabres haven’t reached the Stanley Cup Playoffs since 2011 and there are some underling issues to work through, to say the least. Communication appears to be one of the most pressing matters, with rumours of difficulties between former coach Bylsma and star forward Jack Eichel among the most problematic. Word around the campfire was that Eichel wouldn’t sign a new deal if Bylsma remained as coach. Botterill says that he wants the Sabres to play a high-tempo, puck possession game and that means that the new head coach will have to fit that system like a glove. The Sabres had quite a list for potential general manager candidates, with Craig Conroy, Paul Fenton, Tom Fitzgerald, Michael Futa, Bill Zito, and Bill Guerin among the names. Martin Brodeur reportedly turned down an opportunity to interview for the post.